Nature is a powerful teacher, and there are so many things that kids can learn through hands-on experience. 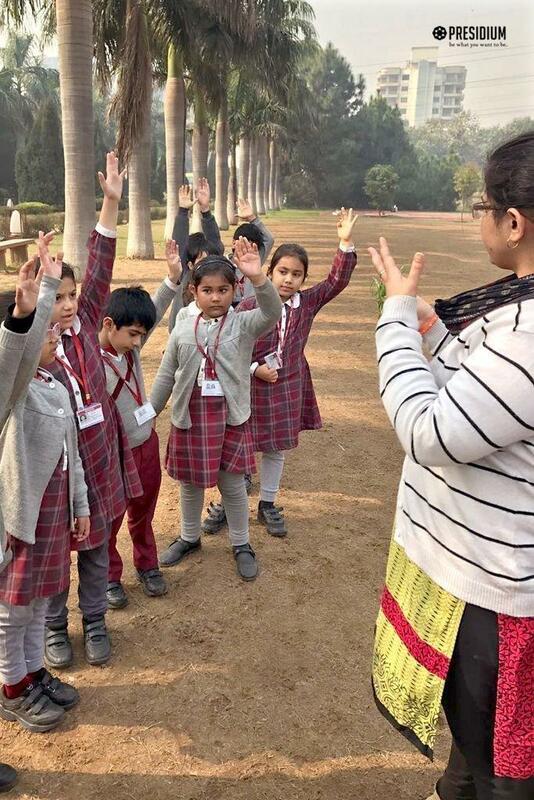 So, under the theme 'Plants' of Theme-Based Learning, Grade 1 students got a chance to visit the botanical garden, feel the plants, trees and feel more connected to nature. 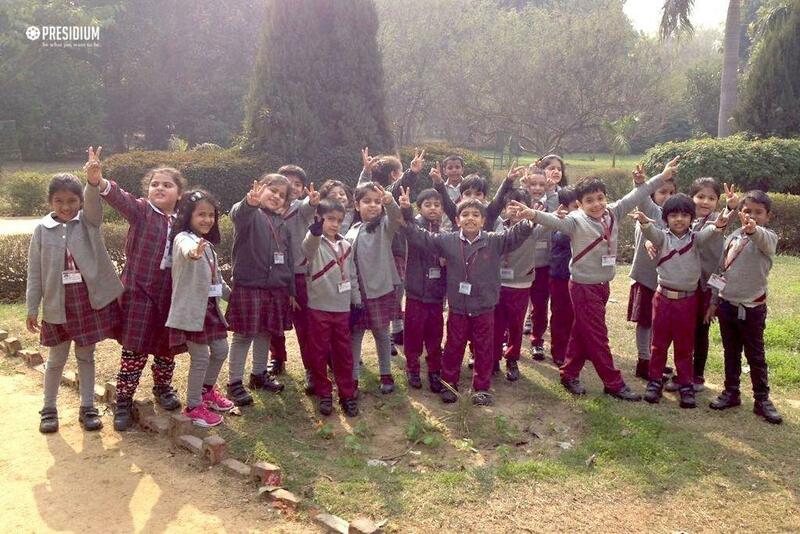 Experiential learning gave the students a chance to touch and feel the different things in the garden. 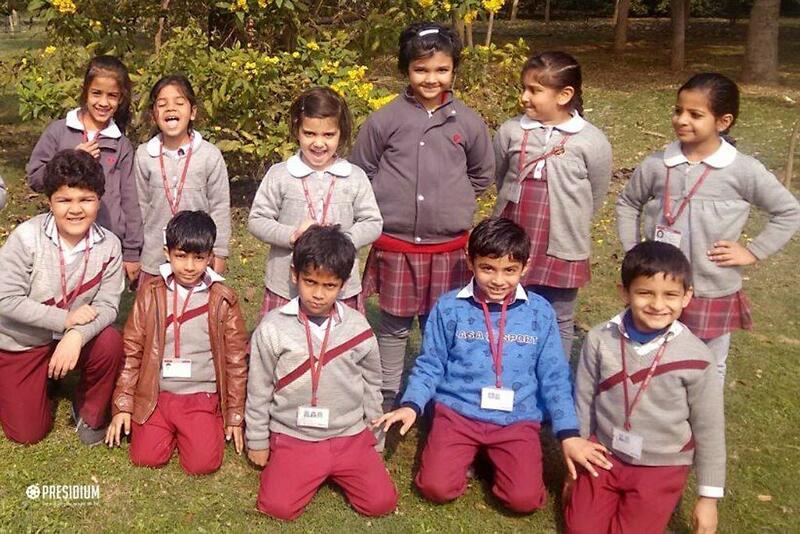 They experienced the beauty of nature by seeing various plants and trees, the roots, dried leaves, twigs, seeds and fruits in the garden. 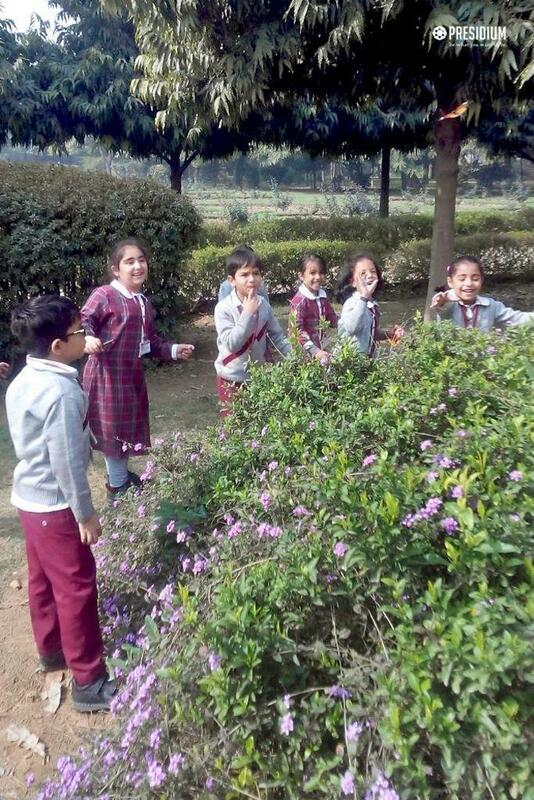 They were excited to see all these things and they also collected samples of different types of leaves and flowers from the garden to show it to their parents. They saw different animals present in the garden like squirrel, ants, birds etc. Apart from all these, students interviewed the gardener and asked him, how he maintains the garden and keeps it more lively. 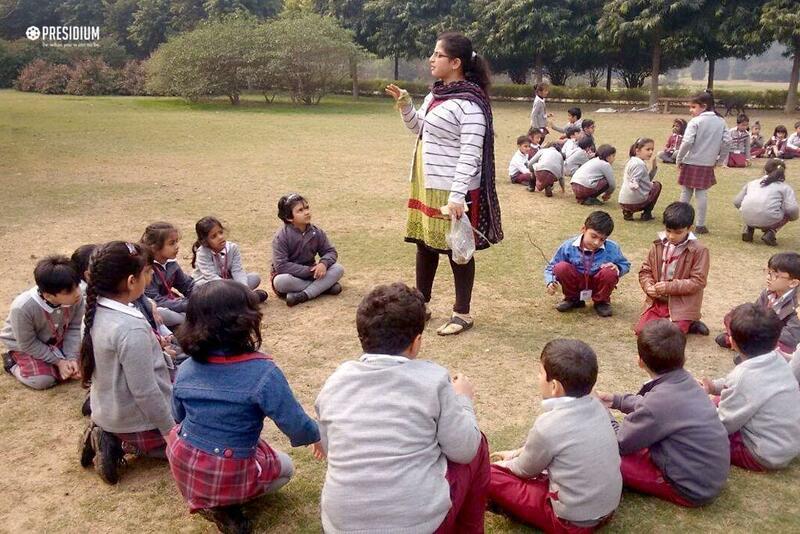 The gardener enthusiastically answered the children and advised them to keep the environment safe and clean. 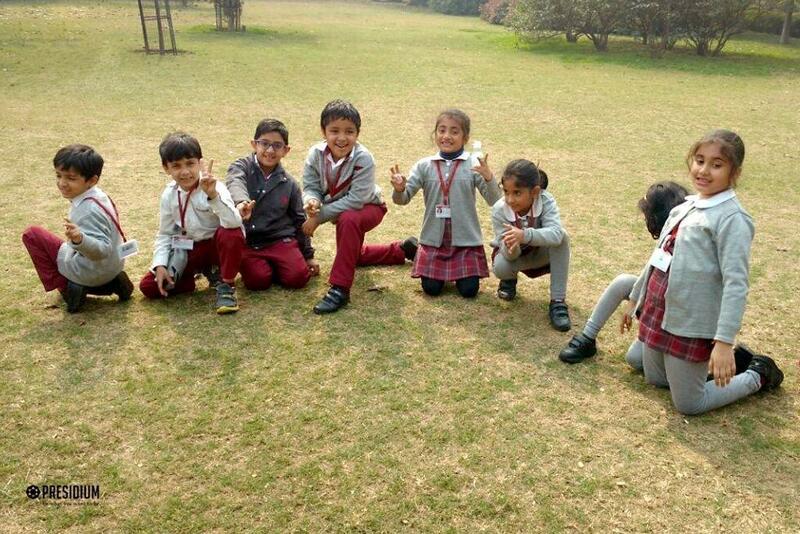 The teacher helped the students with identifying the different parts of plants like roots, fruits, trunk etc. along with their functions. 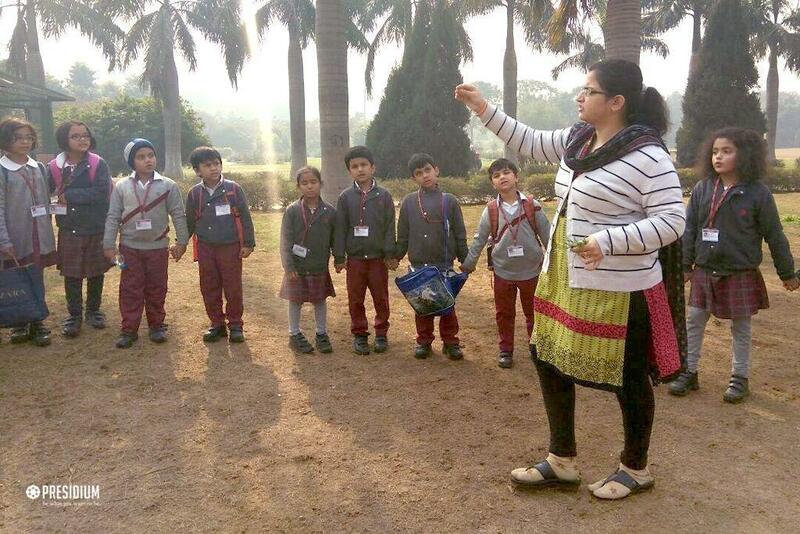 It was a fun-filled educational trip for the children through which they got to learn new things through hands-on experience.